The Confidence Fitness Motorized Electric Mini Exercise Bike / Pedal Exerciser is perfect for getting some low-impact exercise while working at your desk or relaxing in front of the TV. The Confidence Fitness Motorized Electric Mini Exercise Bike can be used to exercise your legs or your arms and helps to strengthen muscles, maintain flexibility in your joints, as well as increasing blood circulation. 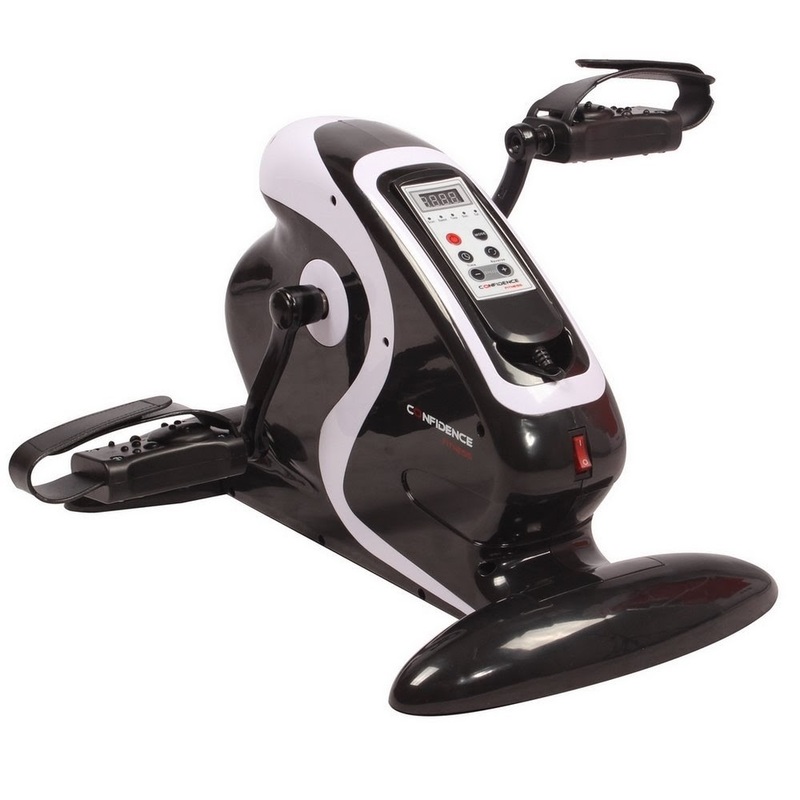 The Confidence Fitness Motorized Electric Mini Exercise Bike offers motorized pedal action with 1-12 speed settings, so you’re sure to find a pace that suits you. The unit plugs into your normal household electric socket so you don’t have to buy batteries like some machines! If you find you no longer require the motorized assist, you can turn it off and use the pedal exerciser manually. 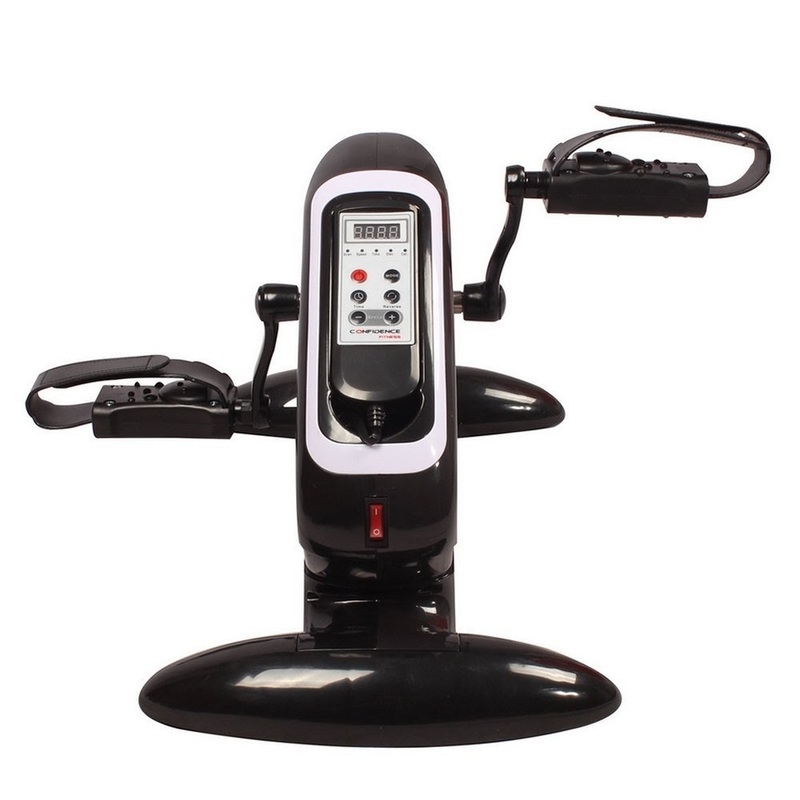 The Confidence Fitness Motorized Electric Pedal Exerciser features 5 built-in Auto workout programs for varied workouts and 1 Manual program. You can also choose settings to pedal forwards or backwards, and you can adjust the training period from 1 to 30 minutes. 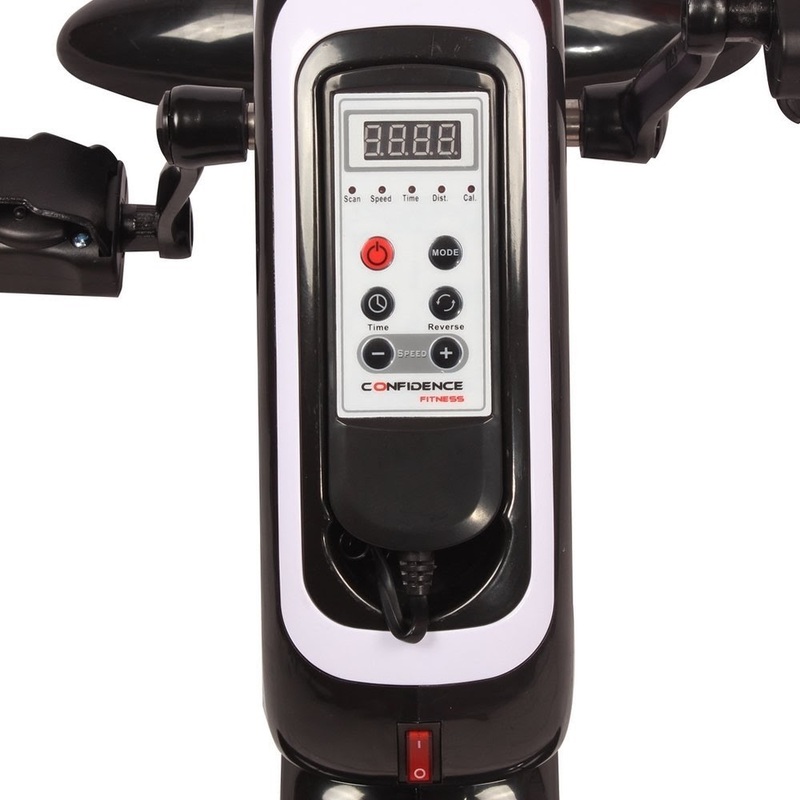 The Confidence Fitness Motorized Electric Mini Exercise Bike / Pedal Exerciser comes with a cabled Remote Control so you can easily adjust your workout session without having to bend down to the unit. The unit’s LCD display panel shows your workout stats including time, speed, distance, calories and scan. The Confidence Fitness Motorized Electric Mini Exercise Bike operates fairly quietly and is easy and safe to use with non-slip pedals with adjustable safety straps. You may need to place a mat under the unit if you don’t have carpeted flooring to help prevent the unit from “walking”. N.B. It’s advisable to consult your doctor or health care professional if you are new to exercise or if you have any concerns regarding your health and fitness regime. Always follow the manufacturer’s instructions for safe use of fitness equipment.